This short post today aims to tie together two news stories that have recently emerged regarding the former Chancellor of the Exchequer in the U.K., George Osborne. Whilst the content of the post will be familiar, i.e. it aims to discuss the relationship between those who have been elected to represent and those that seek to influence the public consciousness for their own gain, the aim here is to show a clear link between the two. The effects of this demonstration, in terms of our understanding, should be confirmatory rather than shocking, but it is important that we be consistent when voicing our condemnation of collusion against the public. George Osborne, the current MP for Tatting, provides an excellent example of this occurrence of public figures being particularly close to the most venal institutions in society. Osborne, the heir to a Baronetcy, son-in-law of Conservative Peer Lord Howell, former member of the infamous ‘Bullingdon Club’ in The University of Oxford (alongside David Cameron and Boris Johnson), and associate of infamous financial tycoons like Nathanial Rothschild and Oleg Deripaska, was Chancellor of the Exchequer for just over six years. In these six years, in which he has been described as one of the most ‘political’ Chancellors there ever was, Osborne became synonymous with the concept of ‘austerity’, ultimately becoming defined by his cuts to key aspects of society, like social care and policing, and ultimately having to embarrassingly admit defeat in his attempt to radically affect the lives of those in receipt of state benefits (although, arguably, that reprieve was very short-lived). However, whilst Osborne’s actions as Chancellor are rightly well covered by journalists and concerned onlookers, a recent report by the Office for Budget Responsibility suggests that a decision of Osborne’s in 2015, to announce a change in the tax system that would not take affect for another nine months, enabled ‘100 wealth individuals to save an average of £1 million each’, with the estimation being that the decision cost the U.K. taxpayer around £800 million in lost tax revenues at the same time calling for the need to cut £12 billion from the welfare system. Rather than analysing these particular instances now, it is worth looking at another story first. It was reported today that Osborne has recently undertaken a position which means that he is now receiving the highest recorded income for a sitting MP. That position is with the renowned investment firm BlackRock, and the report states that Osborne will earn at least £650,000 a year for the equivalent of one day’s work a week. This enormous income is in addition to the income that Osborne garners from ‘speeches’, which have ran into the millions of pounds, the ‘stipends’ from U.S. Republican thinktanks, and the income from his family’s wallpaper business – all of which dwarf his £75,000 salary for representing his constituency in Parliament. There has been, unsurprisingly, a concerted opposition to this, with Shadow minister Andrew Gwynne calling it outrageous that Osborne will earn more than his constituents ‘will see in their lifetime, [and] all whilst still claiming his full salary as an MP’. If the fact alone, that Osborne is in receipt of this income, was not enough, the fact that Osborne met with BlackRock officials five times whilst in office, and his colleagues with BlackRock officials twenty-two times (with one subsequently joining the firm as their Chief Macro-Strategist in 2015), adds weight to the disgust that should be aimed towards this appointment. Furthermore, rather than downplay the appointment, as a lot of politicians do when they cross into industry after office, Osborne proudly declared that he wants to ‘help [BlackRock] to deliver’ on its aims to provide a better outcome for British Pension holders, despite allowing BlackRock to securitise a number of pension-based products via his reforms whilst in office. 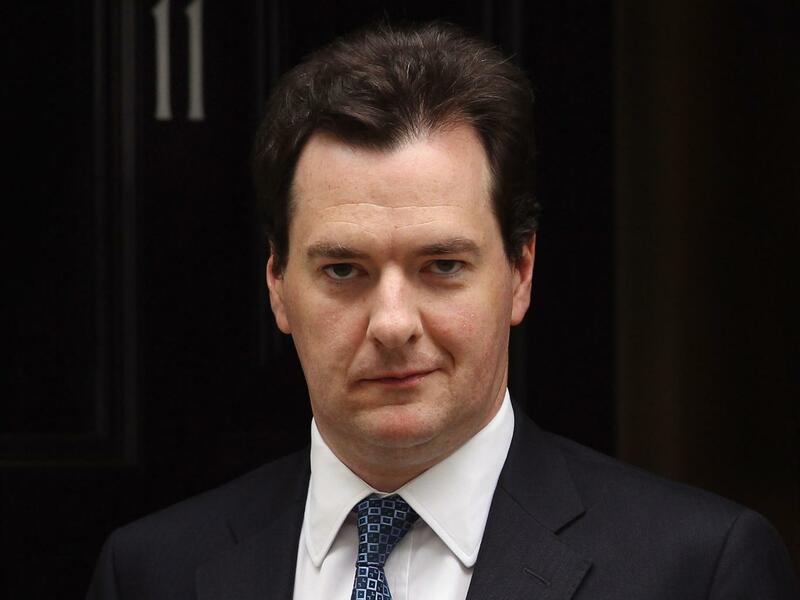 The agency charged with overseeing the ‘revolving door’ process so that conflicts of interest do not arise, the Advisory Committee on Business Appointments, affirmed the move for Osborne, as it has done with 370 other politicians – a rate of 100% approval for politicians to transition into industry. In a recent post, the issue in question was the relationship between the privileged and protecting the public from venality in the financial sector. Unfortunately, this ugly issue has raised its head again almost immediately after the last demonstration of this interconnection. To be clear, rather than describe George Osborne’s allowing for the wealthy to avoid tax as ‘bungling’, or describe Osborne’s approach as demonstrating his ‘strange set of priorities’ as some have done recently, it must be stated that George Osborne is renowned for being meticulous in his navigation – he simply does not make mistakes. This is a man who consciously aimed for the disabled, the infirmed, and the most vulnerable in society. This is a man whose austerity drive, which was based upon the notion that ‘we are all in this together’, has overwhelmingly affected women in this country. This is a man who was recorded laughing and joking as he rolled out some of the most savage and distasteful cuts to welfare allowances the country has ever witnessed since the inception of the welfare program. So, rather than see this as something that politicians just ‘do’, let us see it for what it is – the monetisation of a position that was executed efficiently and ruthlessly. The news today, that George Osborne would join one of the biggest financial institutions, with a remuneration package that is truly exceptional, is proof, if proof be needed, that it pays to act against society. The fact this this should not be a surprise for anyone reading is an alarming, and perhaps incredibly macabre understanding that needs to be at the core of any analysis undertaken into the actions of the elite.